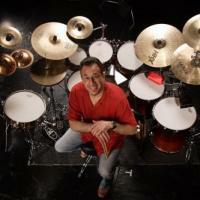 Tune in this Friday on The Mambo Machine to listen to an interview with Bobby Sanabria. Drummer, percussionist, composer, arranger, recording artist, producer, filmmaker, conductor, educator and activist, Mr. Sanabria will tell us about his career and life achievements. His diverse recording and performing experience includes work with such legendary figures as Dizzy Gillespie, Tito Puente, Paquito D'Rivera, Charles, Ray Barretto, and many others.